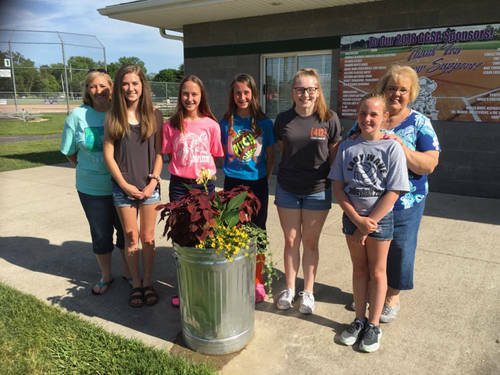 The Greenville Girls Softball Association, Zechar Bailey Funeral Home, The Ohio Association of Garden Clubs, and the Butterflies Junior Garden Club teamed together to add a new landscaping flower bed to the Stebbins Field softball complex. Shown are co-leader Kim Cromwell, Kate Rehmert, Brianna Fellers, Saige Fellers, Grace Specht, Kendall Cromwell and leader Charlene Thornhill. The Greenville Girls Softball Association, Zechar Bailey Funeral Home, The Ohio Association of Garden Clubs, and the Butterflies Junior Garden Club teamed together to add a new landscaping flower bed to the Stebbins Field softball complex located just north of Greenville on State Route 49. GGSA is a non-profit organization, founded in 1972, dedicated to providing recreational softball activities for over 500 girls in Greenville and surrounding area. GGSA offers all Darke County girls Slow-Pitch and Fast-Pitch softball for girls ages 4 to 19. Many improvements and additions have been added over the years, including concession stand, restrooms, and additional diamonds. In 2013, the stadium style facility was built with refurbishing diamonds, added dugouts, a brick backstop with netting, press box, locker room, bullpen, and stadium style seating. Next came more major refurbishing of all diamonds, including sod placed in foul territories, warm-up circle cutouts, coaches box cutouts, fields leveled and Southern Red Rock added to all diamonds. With some very generous donations, light fixtures were added in 2015. This year, Eric Fellers, president of the GGSA, was interested in creating some additional landscaping and called upon his daughters, Brianna and Saige, to present the idea to their junior Garden Club. It was decided to incorporate a 6ft. W x 2 ft. H. X 6 ft large galvanized round end stock tank to get a raised bed that would not be trampled. Eric enlisted members of GGSA to assist the Club. The Garden Club received a grant from the Ohio Association of Garden Clubs Foundation to cover the cost of the tank, fertilizer, compost, soil, and other supplies. Jason Hupman provided mulch, Daniel Myers helped with digging out the area as well as hauling in dirt and Sam Stebbins assisted with gravel and sand. Greg Zechar of Zechar Bailey Funeral became interested in the youth project by providing the flowers planted in the raised bed. Planted in the flower bed was a design to resemble a softball using “Hero” yellow marigolds and “Red Thread” Alternanthera to resemble the stitching on the softball. To reflect the look of the stock tank raised bed, the junior garden club plants and maintains two galvanized containers close to the concession stand. Resembling the red and yellow colors of the raised bed planting, they selected “Cannova” yellow Cannas, “Ruby Slipper” Coleus, and “Cabaret” Calibrachoa and vinca vine. The junior club maintains all flower containers and the flower bed throughout the summer. 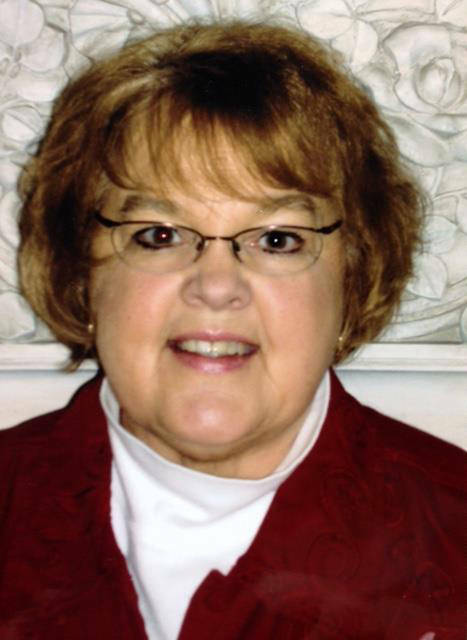 Without the support of the Greenville and Darke County Community, GGSA would not be what it is today. The 501 (3)(C) non-profit organization is a great part of the Greenville community and has been totally funded by the hard work and dedication of countless volunteers and their annual fundraising events as well as donations and contributions by local businesses and individuals. Donations may be sent to GGSA, P.O. Box 1141, Greenville, OH 4533; no donation is too big or too small. Plans are in the works to establish a tree program for the diamonds; the Junior Garden Club will support and help in any way they can to add shade to the area.